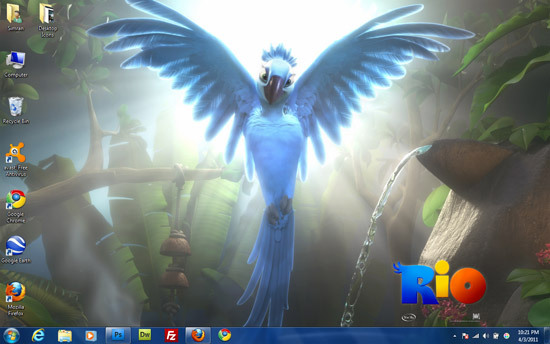 Rio is the 3D animated movie that is going to hit the theaters in US on April 15, 2011. But if you are a Windows 7 user then you can get the taste of this movie before its release with Rio theme for Windows 7. 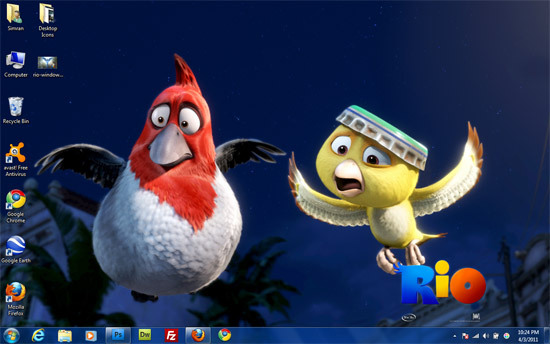 Microsoft has released the Rio Movie theme pack for Windows 7 which is based on Rio movie. The theme pack contains 6 different wallpapers. Thanks for sharing windows 7 themes but I already downloaded them from somewhere else. Downloaded! Thanks for the share Simran. Nice ones. Does this Theme Contain Only a Set of Wallpapers or Some On Click Animation Features or Effects too ? It only contains a list of wallpapers.